Pickup your from Cochin Airport and drive to Muunar and on the way to Munnar visit Vaplara, Cheeyappara waterfalls and Tea Plantations. Upon arrival at Munnar transfer to Hotel. Check in at Hotel. Afternoon visit Rajamala (eravikulam National Park - open as per the directions by the forest authorities ), the best place to see Nilgiri Tahr (hermitragus Hilarious)- the mountain goat of South India. You may visit the Tea Museum surrounded by tea Gardens- the only Museum of its kind; which illustrates the timeworn method of Tea production. Evening have a short visit at Munnar town. Overnight stay at Munnar. After breakfast proceed for sightseeing of Munnar. Mattupetty dam, Echo Point, Kundala Dam, Pothenmedu View Point, Blossom Park etc are some of the highlights of the sightseeing. Shopping & overnight stay at Munnar. After breakfast check out from the hotel and transfer Alleppey. 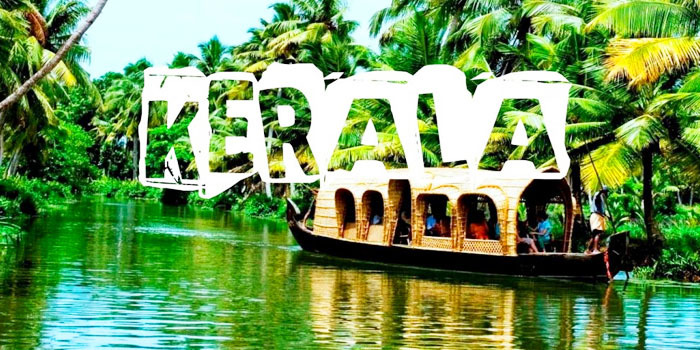 Around 1200 hrs check in at the Resort and start your cruise through the rich and splendid backwater. Just relax at the deluxe Resort. It will be a unique and exclusive experience in your lifetime. You will be cruising along the village sides and paddy fields witnessing the core life of the Kerala villages for the whole day. The Resorts is fully furnished with bedrooms and a kitchen. Dinner and overnight at the Resorts. After breakfast , Checkout the hotel and drive to Cochin checkin the hotel andvisit Cochin some famous places visit The Dutch Palace, The Jewish Synagogue, St. Francis Church the oldest European church in India, Chinese fishing nets, Santa Cruz Basilica etc, and also an array of shops with antiques, fabrics & jewellery, And evening return back in hotel and overnight stay at hotel. Day 05: Drop Cochin - After breakfast, Checkout the hotel and drive to Cochin and drop Your Onword destination and drop Cochin Airport / Railway Station. We Wish you a pleasant Holiday and thank for contacting IHD hotels.Com for your Travel Needs. 3. Accommodation of 01 Room in Hotel for 05 Nights. 4. All applicable transportation and Hotel Taxes. 5. All Toll Tax, parking, fuel and drive allowance. 1. Train fare, Overland Journey which is not mentioned in the Itinerary. 2. Guide / Entry fees, Boating, Elephant riding / Horse riding etc. During sightseeing. 6. Any other things that is not included in the Package Cost Includes Column.